In 1847 the congregation moved to a disused meeting-house on the former Green Street (destroyed in the construction of Charles River Park in the 1960s). Having outgrown the Green Street space, the parish moved to a former Congregationalist church on Bowdoin Street, seen here before the construction of townhouses on either side. The Church in 1890, showing the original Choir Screen. Notice the location of the pulpit in the nave, and the absence of the reredos (installed in 1894 and visible in the next photo). The choir in procession during a High Mass in 1900. High Mass in 1930, during the latter part of Lent (as indicated by the veiled altar cross) - notice that only the celebrant is vested. The All Saints Chapel. At the time this photo was taken Masses were regularly said at this altar, as evidenced by the bell, cushions, and missal stand. In 1863 the congregation moved to a building on Bowdoin Street but was soon well on the way to outgrowing the space. In 1874 the parish bought land at the corner of Mt. 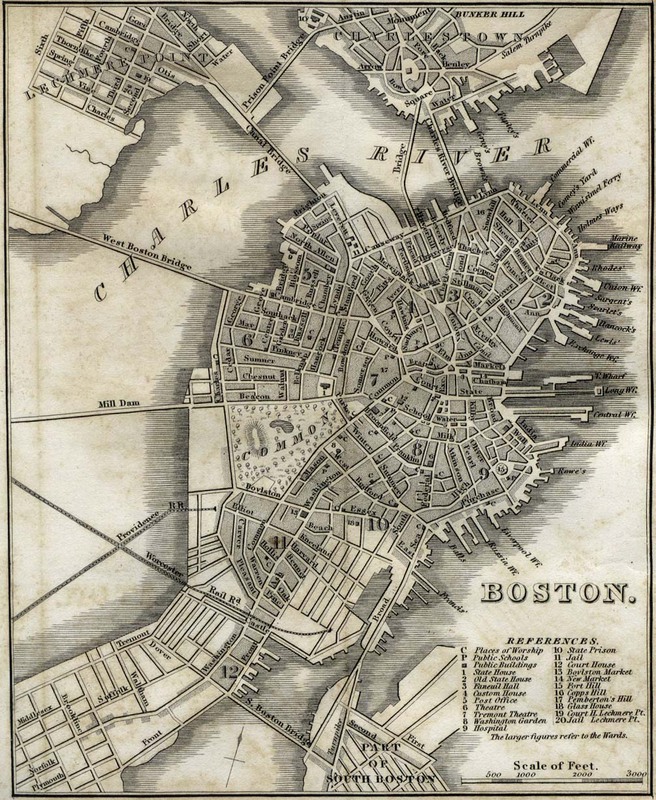 Vernon and Brimmer Streets - which, as the 1842 map shows, had not even existed when the parish was founded 30 years before. This land was created from lowering the height of some Boston hills by several feet beginning in the 1850s. (Excavations in our undercroft in late 2003 unearthed several old bottles and other artifacts from the taverns that dotted Boston neighborhoods at the time.) The present building was designed in the Early English Gothic Style by Boston architect and Advent parishioner John Hubbard Sturgis in 1875 and was substantially complete by 1888. consecrated on Advent Sunday, 1894, exactly 50 years to the day after the first service at 13 Merrimac Street.